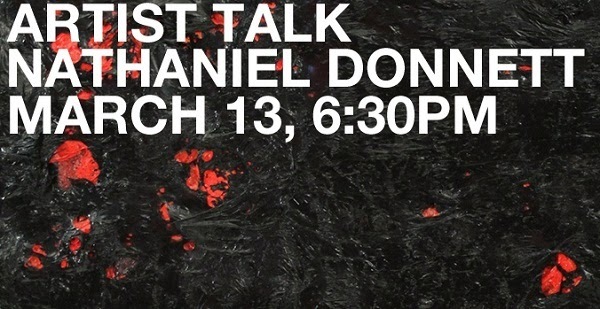 Join artist Nathaniel Donnett for a lecture held in conjunction with the exhibition Black in the Abstract, Part 2: Hard Edges/Soft Curves. Donnett will discuss his artwork by presenting insights to his process, conceptual influences, and the personal narratives that inform his practice. Following the lecture the audience will have a chance to participate in a brief Q&A with the artist. Nathaniel Donnett lives and works in Houston, Texas. He is a recipient of the 2011 Houston Arts Alliance Established Individual Art Grant, The 2011 Idea Art Fund Grant, 2010 Artadia Award, and was a 2009 Tiffany Louis Comfort Grant nominee. 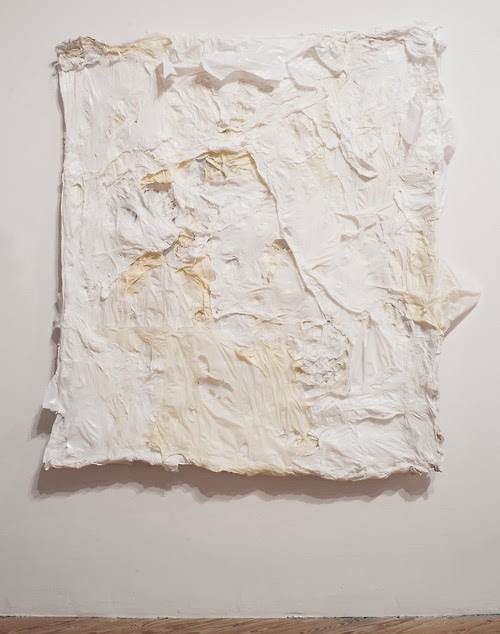 Donnett has exhibited at Lawndale Art Center, Project Row Houses, Texas Southern University Museum, The New Museum, The National Museum in Lima, Peru and The Modern Museum of Peru. He has also participated in a musical performance choreographed by Donald Byrd titled Bhandra Fever at the Wortham Theater in Houston. Most Recently, he was awarded artist in residence and solo exhibition at Redline Milwaukee in Wisconsin in 2013. His work is available at Kavi Gupta gallery in Chicago, IL and Morton Fine Art in Washington, D.C.
Nathaniel Donnett, Absence, 2013. Plastic bags mounted on canvas. Courtesy the artist. Photo: Paul Hester. Image via camh.org.